[FS2EU] Card Mover is Now Permanent !! Thread: [FS2EU] Card Mover is Now Permanent !! 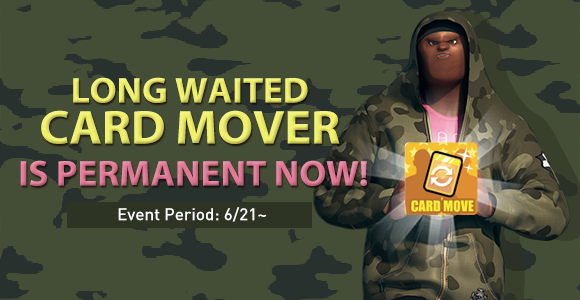 Card Mover is back and will be available pemanently starting on 21.06.2018! Move 1 card to the character of your choice for only 1200 GKash per transfer. Note: You can only transfer 3 cards per month. Here are the things you need to know about the Card Transfer Feature! 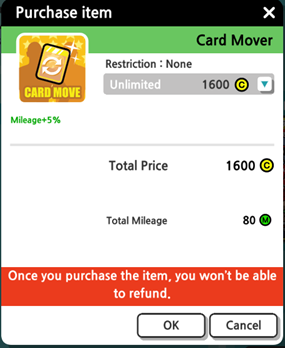 Obtain a Card mover item for only 1600 Gkash for limited time only! Enjoy the 60% discount from December 7 to January 3, 2017. 2.You can only move legendary cards. 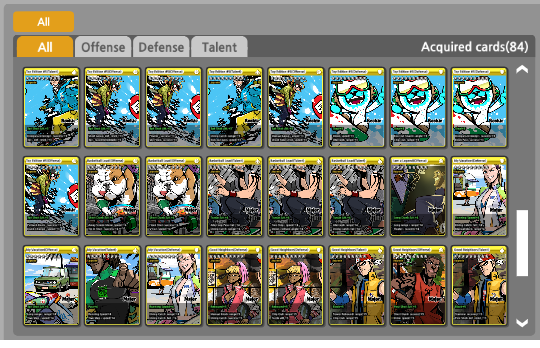 3.Cards can only be transferred to the other character within the same account. 4.This feature is only available until January 3, 2017. How to use the Card Transfer Feature? 1.Choose the card that you wish to transfer. **Note: You cannot transfer cards that are currently equipped. 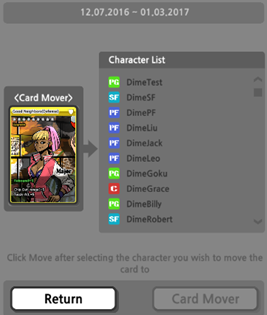 **Card Mover item can only be purchased in the card Transfer screen. It is not available in the in-game shop. be transferred to the character that you wish to receive.